If you have ever walked into a party solo only to find yourself in a near-panic at the thought of having to muster up the nerve to make small talk with a bunch of strangers, you know that social anxiety, even in small doses, can be downright debilitating. Until now, those suffering had four choices; pop a pill (vitamin or prescribed), decline the invitation, go to the party, grab a huge glass of wine and hide in the bathroom all night or stand there (in a sweat), hoping the clock would move faster. Well, apparently, you can now simply eat a pickle. 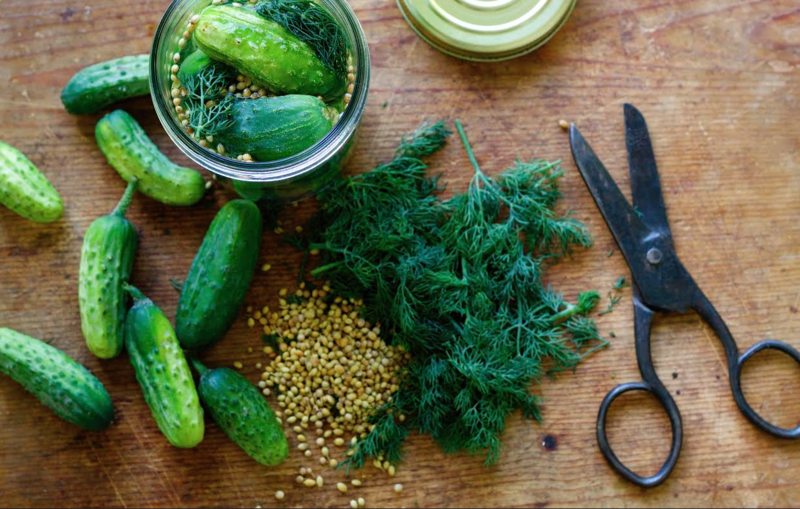 A study in the August issue of Psychiatry Research detailed research involving 710 college students that found that the probiotics in fermented foods (such as pickles, sauerkraut and yogurt) eases neuroticism. As someone who has long been interested in the mind-gut connection, I am intrigued by these findings. In the past, studies have found that healthy bacteria in the gut could have positive impacts on the mind, but this particular study found a link between the amount of fermented food consumption and the decrease of shyness and fear. It may or may not be a miracle cure (I’m thinking not) but I love the the exploration of the body and mind connection on a nutritional level. For me, this study really reinforces my belief in paying attention to the foods we eat in a way that far exceeds caloric consumption; we truly can nourish ourselves and change our lives by making healthier choices. And, I know you’re going to ask. Yes, beer is fermented. No, it was not on the list.